While choosing a hair colour that is right for you is essential to creating a great look, finding the perfect highlights to complement that hair colour is just as important. Highlights have an incredible impact on your overall look, giving your hair dimension and enhancing your natural beauty. By simply adding the right highlights, you can frame your face, bring out your eyes, define your cheekbones and even give your complexion a sun-kissed glow. The key is choosing the right highlight shade for you and adding them in the right spots and amounts. Choose the wrong colour of highlight, or place them incorrectly, and you could end up with a head full of stripes rather than gorgeous natural-looking hair. To achieve great highlights, aim for a tone that is approximately two shades lighter than your base hair colour. While one or two different highlight shades (or lowlight shades) are great, try not to add any more, or your hair will begin to look like a rainbow. If you have a warm hair colour stick to warm highlights, and if you have a cool hair colour stick to cool highlights for an organic look. Just make sure that the hue isn’t too close to your skin tone, as this will cause a clashing effect. While darker hair tends to suit thicker highlights best and lighter hair works well with thinner ones, all hair types can benefit from highlights that vary in size. Try balayage highlights for a natural sun-kissed look. Take care of your highlights with a colour-safe shampoo and heat protectant before styling, to ensure that you get the most out of your colour. Black hair can really benefit from the addition of highlights. In the right tone, highlights can lift black hair and give it new life. The only trick making this look work is to choose the right colour for you and to achieve it in your hair. As black hair is so dark, it may take you a couple of appointments to reach your desired highlight colour. Without extra salon visits you could be left with a brassy look, so be sure to see the process through. When you attend the salon, ask your stylist for highlights in either rich brown hues, golden brown tones or creamy chocolate colours. These brown colours will best suit your dark hair and create radiant results with a subtle vibrancy. Choose a shade which is close to your base hue in order to avoid the highlights looking too bright and unnatural. For this reason, you should also aim to avoid blonde highlights. If you really want a light hue, however, try a rich caramel colour instead. Red highlights can be very flattering on dark hair, but remember that they will transform the appearance of your hair, so be sure that you want them before heading to the salon. If you are up for the change, these highlights are a great way to update your dark hair, especially if don’t want to change your colour completely. Red highlights will add vibrancy to your hair that is not possible with other colours. A great alternative to plain browns and unsuitable blondes, red highlights add shine to hair and glow in the sunlight. The colour is also highly flattering on women with both dark hair and a dark skin tone. Choose between vibrant red hues, such as cherry, and lighter copper tones, as well as spicy, red-based cinnamon and auburn shades, depending on your overall style. 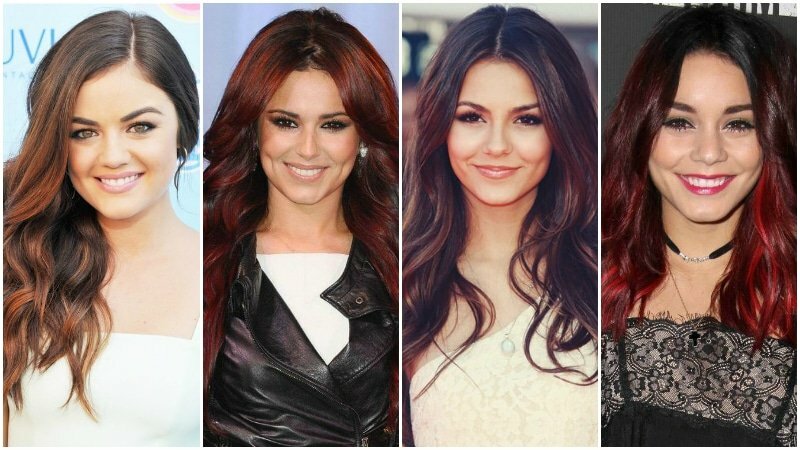 While rich red hues will have a flattering contrast with dark hair, copper and auburn tones will blend more easily. Whether your brown hair is long or short, it will benefit from the addition of some strategic highlights. Brown hair tends to be duller than blondes and less glossy than blacks, so without the aid of highlights it can appear flat and plain. Add highlights in brown hues, such as caramel, walnut, toffee or bronze, and you’ll immediately notice your hair appearing more radiant, without looking over the top. Brunette women with medium skin tones tend to best benefit from intense brown highlights and toffee tones, while pale skin ladies should choose lighter highlights, including caramel, honey and dark blonde shades. By selecting highlights with warm undertones, such as toffee and caramel, you’ll also create a golden glow for your skin and give your hair a natural, sun-kissed appearance. Auburn, is another great hue for this reason as its warm tone blends perfectly with brown hair for a sunlit look. If you want to lighten up your hair dramatically, however, you can also consider a balayage look, with blonde highlights painted on and focused on the ends of the hair (where the sun naturally hits). Blonde hair naturally has highlights, which is why it is important to include highlights whenever dyeing your hair blonde. 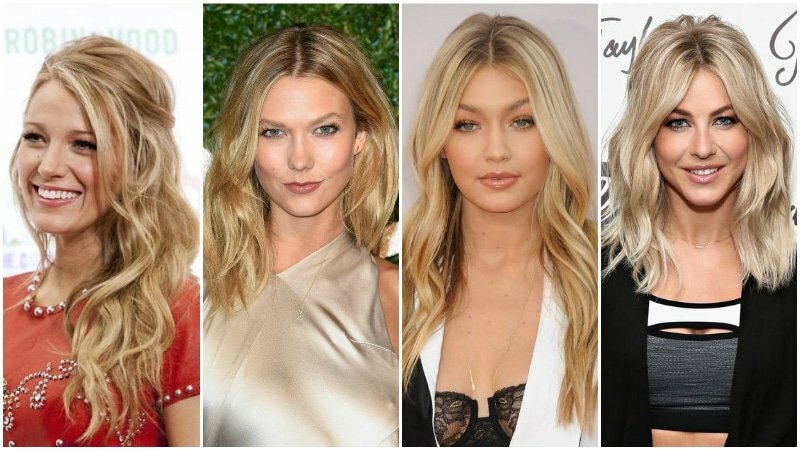 As one shade all over can be quite unflattering, adding some pieces which are a shade or two lighter than your base colour will do wonders for creating a gorgeous, natural-looking blonde (even if it’s from a bottle). Choose between platinum blonde highlights, which look best on cool skin tones, and golden blonde highlights, which work perfectly for warm skin tones. Ask your colourist to focus your highlights on the ends of your hair with only a few going all the way to the roots for a more natural appearance. Adding some face framing pieces will additionally create a naturally flattering appearance. Also, make sure to keep your highlights quite thin as the variation in tone is much easier to spot in light hair and can look striped if they are too thick. If you’re worried about your overall look appearing too light, however, you can also consider adding some light brown or dark blonde lowlights for a more dimensional appearance. While we mostly aim for our highlights to look natural, there are times when the wow factor of coloured highlights is just too good to resist. 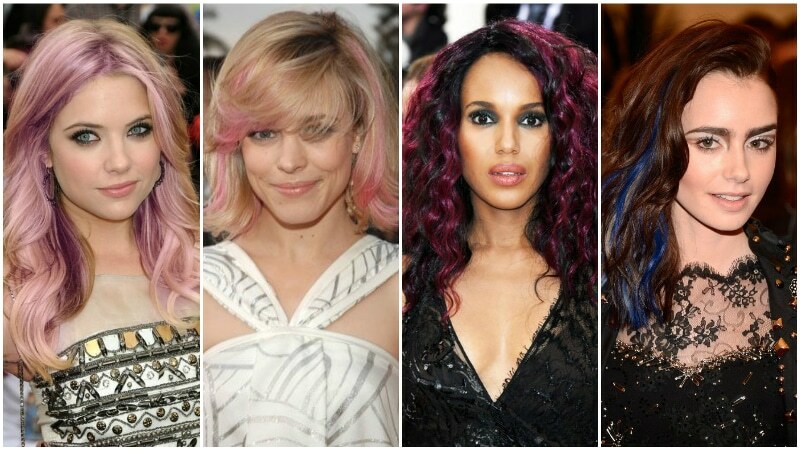 This year celebrities and fashionistas swapped their usual browns and blondes for pinks, blues and even rainbow hues. In particular, pastel highlights have become hugely popular with the unique colours offering unexpectedly flattering results. The soft and ethereal tones of candy pinks, light lavenders and baby blues have captured everyone’s interest and put some fun back into hair colouring. Best suited to blonde-haired beauties, pastels are particularly flattering on pale skin tones. While blonde women look great with these soft tones, brunettes and black haired ladies can relish the fact that they look superb with bright, vibrant hues, such as electric blues and bold magentas. All it takes is just a few thick highlights on the underside of your hair, and you’ll have an unbeatable flash of colour for every occasion. If you’re unsure about such a bold colour, though, try using some temporary dye or hair chalk first.